A few years back I posted another Pumpkin Seed Oil Face Serum Recipe (included also- a list of benefits.) But that serum recipe is bones basic. Instead, this is the version I’ve been using and mixing on my skin for 10yrs+! There’s gotta be a reason I have absolutely no wrinkles, crow’s feet, creases etc. at 35yrs old! I sincerely attribute it to the fact, I’ve been manic about applying an amazing, organic, face serums to my face, every day, for 20+yrs now! Probably one of my best kept DIY blends! So happy to share it finally to the world! Officially, my 3rd VLOG installment!!! PLEASE DROP A “LIKE”, “COMMENT”, EVEN BETTER “SUBSCRIBE”! 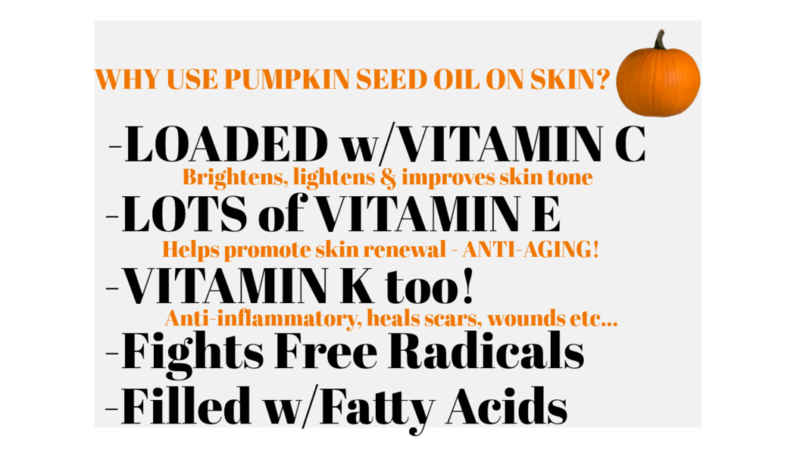 Use pumpkin seed oil on ALL SKIN TYPES – morning or night! Always, all absorbed by skin in minutes! For those looking for high-end, better quality pumpkin seed oil. I’d recommend going with LEVEN ROSE’s version. Always 100% pure + organic! Quality-wise, you can’t get much better! When it comes to the consistency of pumpkin seed oil. Expect it to be just like any other, smooth, clear carrier oil – similar to olive oil. Pumpkin seed oil is super easy to sneak into all your DIY skincare. Get it in your DIY lotions, creams, balms, and more! Don’t think it’s exclusive to serum mixing! SHAKE WELL before each use (since EO’s settle…) Serum expires after 6 months. Thanks doTERRA for hooking-up the EO’s used in this post! Nope, not an affiliate blurb! doTERRA sincerely make the best essential oils, please check em out! 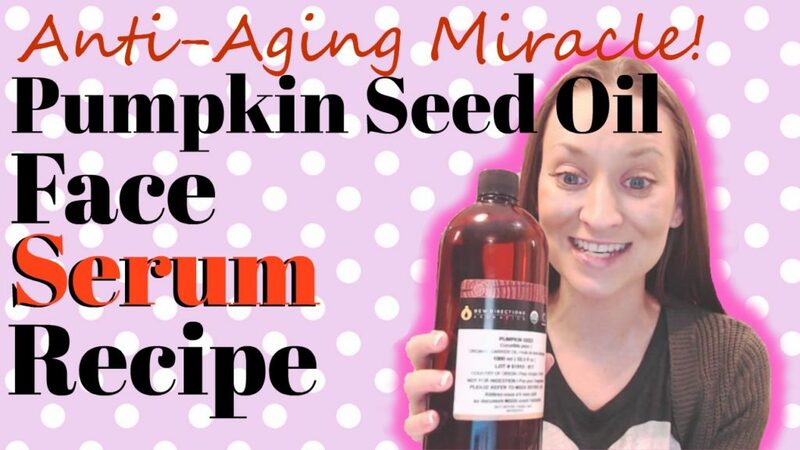 Appreciate your support – for either watching or reading my “Pumpkin Seed Oil Face Serum Recipe”! I'm a beast of a woman, ready to take on the world one article at a time. I love what’s in this recipe. Since I’m a skincare freak myself, I’ll definitely try this serum. Thanks!